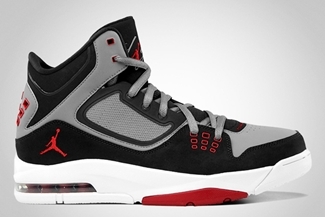 Jordan Brand initially lined up just two colorways of the Jordan Flight 23 RST for month of May, but two more colorways recently surfaced, giving two more excellent choices to us Jordan Shoes followers. 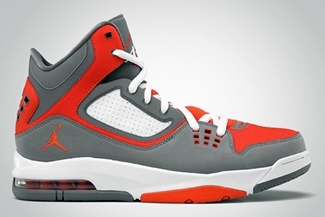 Originally scheduled for release just in Cool Grey/Club Purple – Black – White and Cool Grey/White – Black, the Jordan Flight 23 RST will now also come out in Grey/Black-Varsity Red and Cool Grey/Orange-White colorways this May. Both additions look very impressive so make sure to watch out for it!